I thought it's kind of odd but whatever. Check out more pics at the link below. DC Comics has announced that Neal Adams will be doing a series of 25 variant covers to some of its February 2016 titles. Announced at IGN, the covers will homage popular covers from Adams' storied career -- but with different characters in those poses. Adams is also doing a new miniseries for DC beginning in February, titled Superman: Coming of the Supermen. Each of the covers will reportedly be inked by a different guest inker. Here are Adams' pencils for 24 of the 25 covers. That's pretty cool. Still, Neal Adams has gone kinda batshit crazy on his comic book stuff (he's kinda batshit crazy already with the "expanding world theory" he professes). I just saw him this past weekend at NC Comic Con and he is now charging $30 for an autograph, $20 to take a photo with him and his commissions start now at $500. If you want a full figure commission, then that's $2,500. Last year, he was charging $20 for autographs, not charging for photos and his commissions started at $150. The Joker cover is awesome, that is a classic new cover. I also like the one with Superman kissing Wonder Woman a great deal. Some of the others are less appealing, his Flash looks strange. List of all issues with variant covers. 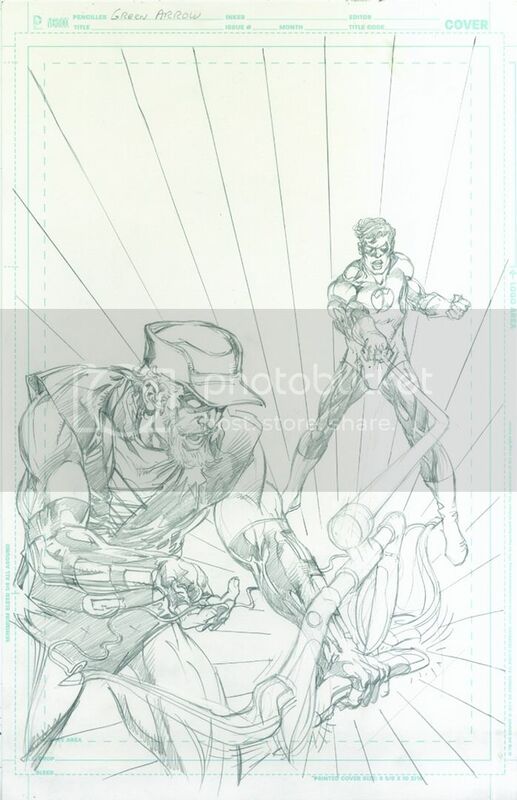 Those are great, awesome penciling!